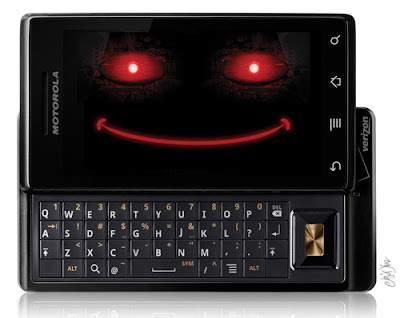 today marks the first day of the end of the week, the same end of the week we were expecting updates of android 2.1 to be rolling out to our motorola droid devices. where are we with that? still stuck in limbo. still stuck with questions and no answers. still stuck with many frustrations. after a botched january 24th date from verizon, we could only speculate on our next ota update. rumors started to fly that wednesday, february 10th would be day 1 of rollout. on wednesday the 8th, our dreams were in sight as the release notes for android 2.1 surfaced on the motorola website. 2 hours and 100 blogs posting the link later, the notes were gone and the world turned upside down. live chat conversations with moto reps who gave us mixed news. the official motorola twitter account has now gone silent. their facebook page has been filled with hatred and silence. now all we have is http://www.motorola.com/mydroid as a source for updates. from an email response via their support department that i received this morning i can tell you that we are stuck in the same place as yesterday…with no answers. to see a company as large as motorola put out official releases, retract them, and then go into silence is a little alarming. now, i’m sure that the population of droid users that are obsessing over this update like we are is some tiny percentage, but to see the online uproar it has created over the last few days should be enough to generate some sort of response from them other than “we have no official information.” the worst thing anyone or anything can do in a time of, well for lack of a better word, “crisis,” is to go silent. just ask one really famous golfer how that tactic worked out. on a side note, to those of you spreading hatred like your life depends on a system update to your cell phone of all things is pretty disgusting to see. in no way does this impact your life other than something as simplistic as the opportunity to tell your friends your phone is better than theirs. i know we have egos, and i know we were led to believe one thing, but why the hate? this is still a leading piece of technology and in time we will have an update that is hopefully far more polished than anything we could have expected. everyone just relax. your frustrations are understood, but please, lets all take a deep breath and leave the puerile venting to ourselves. sorry to go all deep on a friday, just needed a release. as we have any other relevant info, we’ll be sure to have it for you.